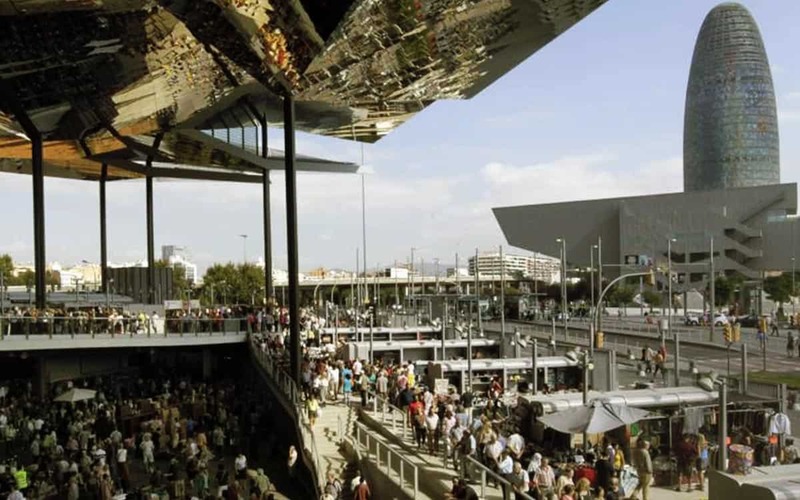 Mercat de Sant Antoni Barcelona ~ The Sant Antoni Market is reborn! Sant Antoni Market first opened in 1882 as part of the massive city expansion that took place in the second half of the 19th century (Barcelona’s medieval city walls were knocked down, and the city rapidly spread in a grid-like pattern, according to the plans of the architect Ildefons Cerda). 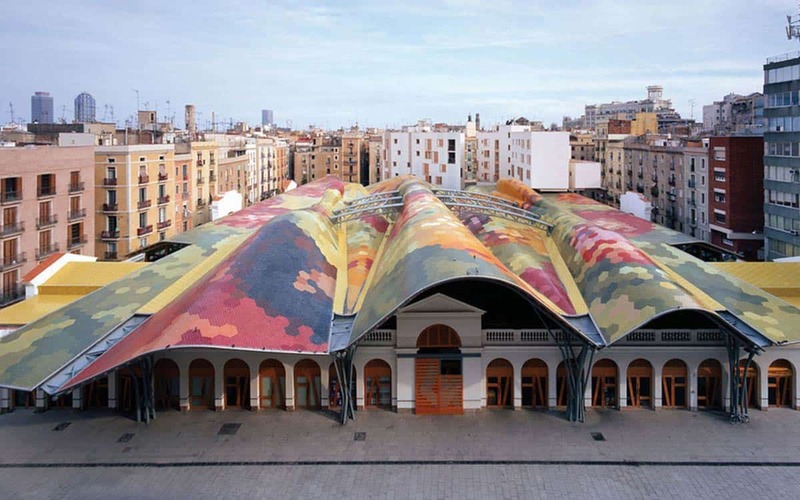 Housed in a beautiful, art nouveau, iron shelter, with octagonal roof, designed by Antoni Rovira i Trias, El Mercat de Sant Antoni became an important social and commercial hub of the district, before modern shopping habits and natural decline saw it fall out of fashion. By the time it closed for refurbishment in 2009, it had become somewhat tawdry and run down. The market reopened in spring 2018, and nine years later, following an 80 million euro refurbishment, it’s enjoying a second golden period. Rovira i Trias’ resplendent structure has received a pristine new red, gold and green paint job, whilst the interior has been completely refitted and modernised to accommodate the 52 food stalls that trade here. Much like in Barcelona’s legendary Boqueria market, you should be able to find any of Spain or Catalonia’s classic delicacies here, but its position in the hip, but less touristic Sant Antoni district (as opposed to slap bang in the middle of Las Ramblas), means that your shopping is less likely to be interrupted by a posse of camera-wielding tourists. Additionally the area around the market has been pedestrianised and turned into a traffic-free ‘super block’, making its renaissance as the social hub of the district all but a sure thing. Aside from food, there are also 92 clothes and flea market stalls, and every Sunday one of Europe’s largest open air book markets takes place, with a further 78 stalls trading tomes old and new. The district of Sant Antoni as a whole has become emblematic of the city’s pioneering gastronomic scene, with a glut of new tapas bars, vermuterias and of course the six restaurants opened by the Adria brothers that form elBarri group. 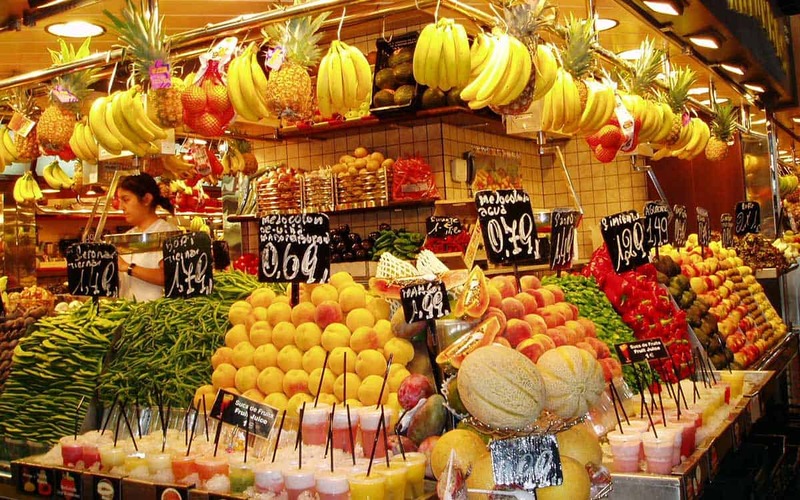 One company that helps travellers delve deeper into this very district is Food Tours Barcelona, whose Evolution of Catalan Gastronomy tour takes you to some of the barrio’s best bodegas and tapas bars. But not before you take a guided tour of this very market, where you get to chat with some of the traders and try some of Spain’s best cured meats, cheeses and quinces direct from the stalls. The Guardian wrote an interesting piece on the impact the revamped market hopes to make, its importance to local life and why the city has invested so much money in this, and other market refurbishments.